Our Fort Myers car accident attorneys thought you might be interested in the 2010 Florida Traffic Crash Statistics Report, recently released by the Florida Department of Highway Safety and Motor Vehicles. One of the more alarming statistics cited in the report are the increased number of pedestrian deaths, which rose more than 3.5 percent since 2009. This statistical rise will assuredly keep Florida in the number one spot as the deadliest state for pedestrians. -Deaths related to traffic crashes on Florida roads have declined by 4.6 percent between 2009 and 2010. -During the past five years, fatalities related to traffic have declined by 30 percent. -The number of fatalities per 100 million miles traveled has declined to 1.25 deaths. This statistic is also known as the State Mileage Death Rate. -Motorcyclist and passenger deaths were down nearly 5 percent compared to 2009. -Bicyclist and passenger deaths dropped from 99 in 2009 to 76 in 2010, a 24 percent decrease. -Pedestrian deaths rose from 482 in 2009 to 499 in 2010 a 3.5 percent increase. -Deaths among teen drivers and passengers declined from 153 in 2009 to 144 in 2010, a nearly 6 percent decrease. Though traffic-related crashes were down, there were more than 2,400 fatalities due to traffic-related accidents. A five-year decline in fatal traffic crashes is encouraging. Many factors may be at play in the decrease, including the economic downturn; fewer vehicles on the roadways; and improvements in vehicle safety, which has certainly influenced these results. It makes sense that the State Mileage Death Rate is at a historic low considering how many fewer vehicles are on the roads these days. Declines in total traffic crashes and average crashes per day from 2009 to 2010 were minuscule at .13 percent each. Alarmingly, the “Pending Fatal Blood Alcohol Content” statistic was up 122 percent from 2009. Though bicyclist deaths were down in 2010, both bicyclist injuries and bicycle crashes rose by 3.95 percent and 3.16 percent, respectively. As we noted on our Florida Injury Lawyer Blog back in August, Lee County has a bicycle crash every 34 hours, making it the most hazardous county in the country. There were declines in teen passenger deaths and injuries, and fewer teen driver injuries and teen crashes but teen driver deaths were unchanged in 2010 from 2009. We see that overall motorcycle riding is safer, unless you are a passenger. There was a 26 percent increase in motorcycle passenger deaths in 2010. It was encouraging to see that crashes involving pedestrian and injured pedestrians were down but as we mentioned earlier, deaths to pedestrians increased more than 3.5 percent. The executive director acknowledges that more work needs to be done to make our roadways safer, and we agree. 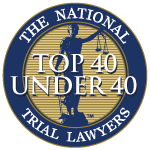 Most traffic-related accidents are avoidable, and those resulting in personal injury or death are frequently the unacceptable results of poor judgment. Associates and Bruce L. Scheiner, Attorneys for the Injured, are dedicated lawyers helping accident victims throughout South Florida, including Naples, Fort Myers, Cape Coral, Port Charlotte and Sebring. Call today for a free and confidential consultation to discuss your case. 1-800-283-2900. 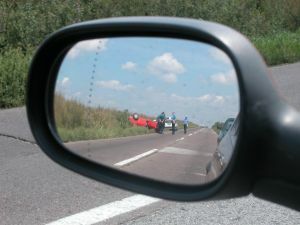 NOYS’ 2011 Summit to Help Reduce Risks of Teen Car Accident in Cape Coral, Fort Myers, Florida Injury Lawyer Blog, September 25, 2011. Seat Belt Usage Meets Record High — Decreasing Risks of Fatal Car Accidents in Lee County, Florida Injury Lawyer Blog, September 14, 2011.